In the Samson movie, Warwick presented aboriginal Australian culture. Not only did he he present Australian desert facts, but he also incorporated original aboriginal tribe names within his movie. Samson and Delilah shows aboriginal people in Australia as smart, loving, and kind individuals. Currently information and movies about Aborigines culture is on the back end. This is especially true within western and European societies. In fact, if you were to ask a westerner about aboriginal communities or aborigines culture, they would have no basic knowledge of that subject matter. As a result, Warwick decided to shed some light on Australian aboriginal tribes. The aboriginal people of Australia were grateful to Warwick for filming a story about their indigenous Australian culture and customs. Warwick presented the western world an understanding of aboriginal culture facts and aboriginal information. After the story of Samson and Delilah the aborigines of Australia will no longer have to contemplate on whether they have a voice. Because they do. After filming Samson and Delilah, he got bored of sitting around waiting for the phone to ring with work offers, so he decided to write some of his own ideas. His body of work includes short films Payback, Mimi, Green Bush and Nana. He has also directed and shot loads of documentaries including Rosalie’s Journey about the star of the film Jedda. 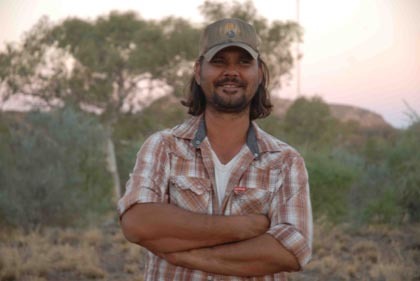 He lives in Alice Springs and is obsessed with collecting Gibson guitars and riding dirt bikes.